If India vs Pakistan Match always excites you, this status is for you. If Today's Match has brought disappointment in your heart, this status is for you. If You are not able to tolerate people, appreciating Pakistan's team, this status is for you. If You have a deep respect and feel proud for Team India, this post is definitely for you guys. First and foremost, I love my country and appreciate the Team India for everything it has achieved. I don't have any intention to hurt anyone's beliefs or feelings, yet there is something that I really want to share with everyone. I don't have any interest in cricket, in for every match I don't ever care which team is playing or who wins. However, from the past few days, I had been reading, listening, watching comments, trolls, videos, pictures, news of people saying negative things about Pakistan as if there was no need for the match to be held as if it was an easy win by now. 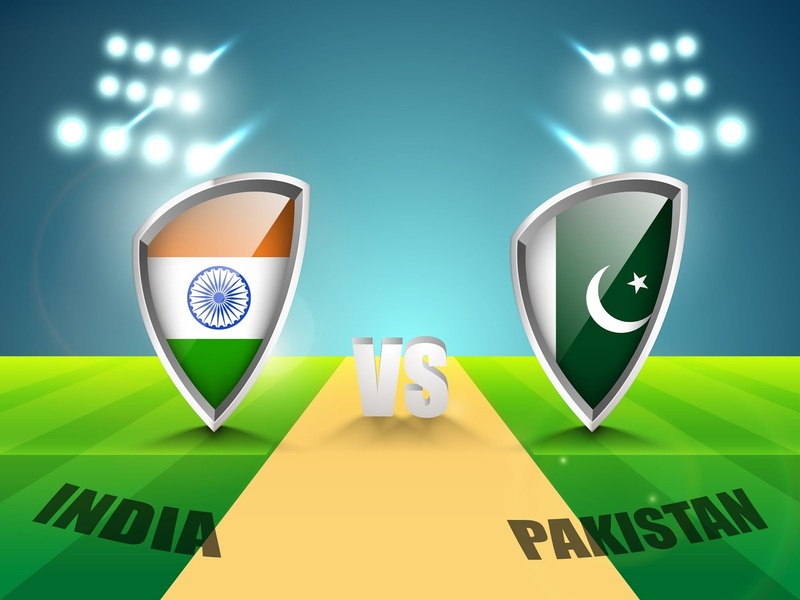 If India's win is so obvious for people when it has a match with Pakistan, why people are so excited about it? Cricket is a game and it has to be treated as a game. A game is an activity which consists of two (or more) Teams; either of them has to win. If one team wins, the other automatically loses. I don't know why people have started treating this game more between Country A vs Country B instead of Team A and Team B. Other countries might also be making trolls for their counterparts, but it doesn't have to be so cheap and meanless. At least, India must not. I don't know why people don't understand that Pages make such trolls in order to increase their Page Likes or followers as they all know people need some Masala to enjoy. People must understand that the moment India was about to lose, or actually lost the game, those Page Admins started making some more trolls for or against Indian Team just to create a buzz on their Page and increase more Page reach. Just think for a second, did you ever attempted to create any troll for any celebrity or any team by yourself? No! I guess. It's the marketing agencies who use this technique to increase their client's reach. It is only because there are some people like us who just need Masala to read as well. For instance, the moment India lost its track from the match, people came up with other technique to show India's worth by talking about its Win in Hockey World League. Woah! Woah! Indians, since when India got a requirement to have relative importance, when it is already so powerful in absolute manner that no other country stand comparison with it. Yesterday afternoon, I was sitting with my mother, watching news when on one of the news channels, when I saw people chanting Slogans, "Jeetega bhi jeetega, India Jeetega....Haarega bhi Haarega Pakistan Haarega." It reminded me of the movie Gaddar when Sunny Deol was asked to recite, "Pakistan Zindabad" and he did the needful. However, the moment he was told to say, "India Murdabaad", he grew angry and said, "Humara Hindustan Zindabad tha, Zindabaad hai, aur Zindabad rahega." Since that day, I have learned a lesson that you can praise as much as you can for your country and be proud of it, but you have no right to degrade any other country. Few minutes ago, Kaur Preet, a friend of mine posted a picture on my status in which it was mentioned, "Everyday is not our day, Thank you team India for everything. We always support you. P.S. Dear Indians please don't troll our own countries." The moment I read this sentence on that picture, a smile came on my face. I felt as if that was the reason I wanted Pakistan to win. To make Indians realize that it is just a game, sometimes we win, at others we lose. Similarly, we should never treat every cricket match with this team as world war 3. I still remember the lesson that our teachers used to remind us always, "To go up in your life, you don't have to pull anybody down." or just take it in other way, "To prove your worth, you don't have to degrade others' value." I really appreciate the people who actually respect our Team for what it has achieved in the cricket industry without disrespecting any other teams or their players. I would like to name some of them (Sahil Anwar, Kaur Preet, Jobanjit Singh, Mohit Rattu, Faizan Khan Aman, Sandeep Prasad, Roktim Sir and Ravish Sir) whose posts I have read today and found positivity in them. Thank you guys.